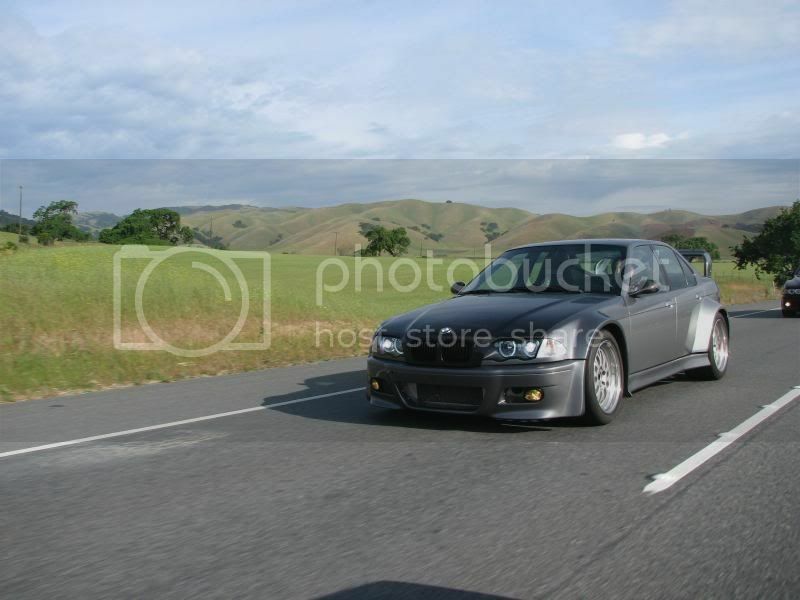 This was shot on the way to 'Fest 09, car is actually for sale right now at around 29k IIRC. It was recently featured at the SF Auto Show at Umnitza's booth. Nice but hate the front end conversion. 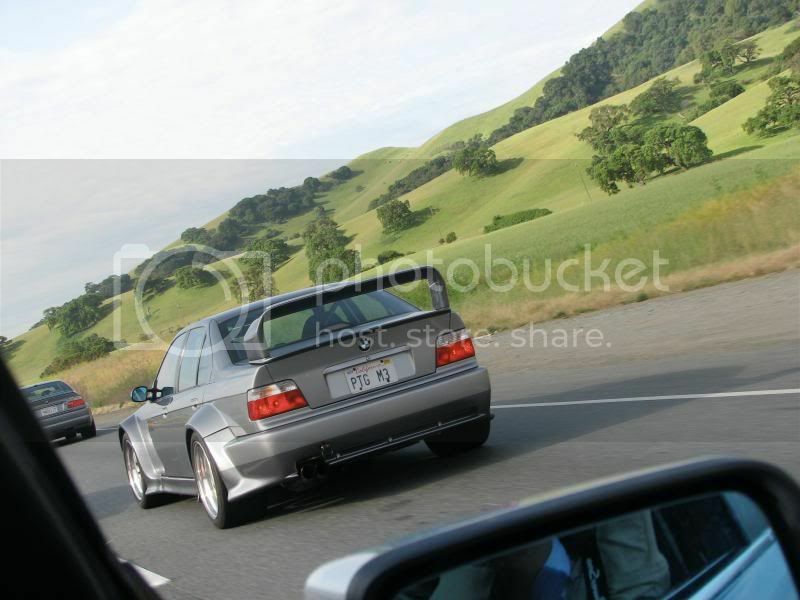 That bumper just look sooo weird on the e36 anf the one thing I hate bout the PTG is is the insane amount of wheel gap between fender. You can never solve that problem! Last edited by HTOWN///M; 03-10-2010 at 08:54 PM. 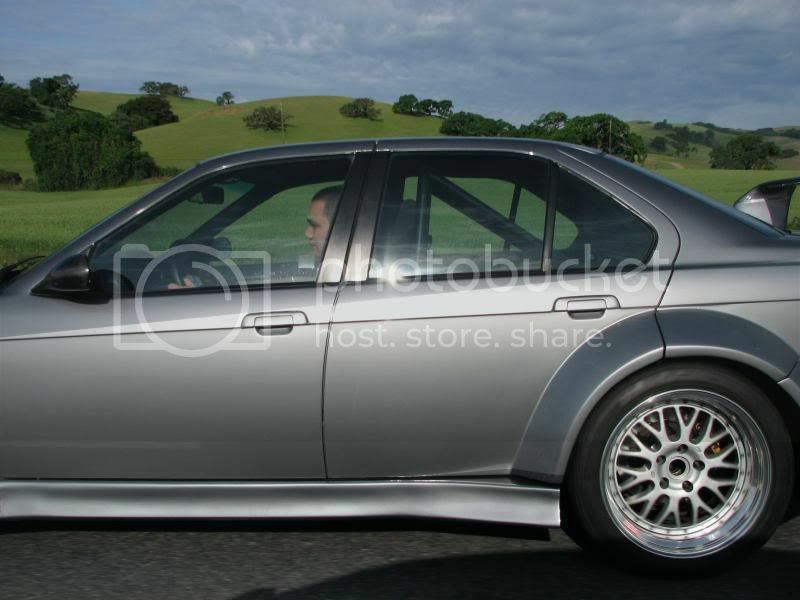 The rear fender arches on that gray widebody is actually mounted a bit lower than usual/typically seen. If anything, I have more of a problem getting the rear of my car low enough than the front, with my car. I wouldn't mind having his wheels though. Last edited by Don Nguyen; 03-10-2010 at 09:04 PM. Or his tires. Race slicks on multipiece lightweight race wheels on widebody e36=ftmfw. One more of this car, found on the internet, I did not take this picture. His candid pictures are not as flattering as some of his other pictures/shots. Interestingly enough, I think his front end looks better than the rest of the car (although I would not prefer/use an E46 front end at all with an E36).